Prominent Muslim cleric Sheik Hilali is putting the Islamic concept of divinely ordained deception into practice…once again. When the Muslim cannot respond to such a claim they tend to employ the Red Herring Fallacy. Indeed, I did receive a response to my articles which, as pre-empted, was nothing but a red herring. So, he is setting himself up to refute my articles. However, is this achieved? Not once does Ibn Anwar interact with my numerous examples of clear and verifiable textual variants. Instead, he began with an ad hominem, moved to attacking a strawman and left my arguments untouched. Evidently, the issue of textual variants in the Qur’an remains an issue that Muslim apologists cannot touch. 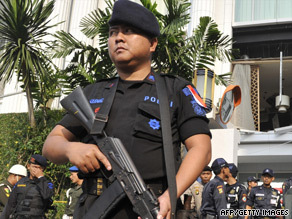 Jakarta, Indonesia – Two luxury hotels, the JW Marriott and Ritz-Carlton, were struck by bombs that killed at least eight people this Friday. Although an international tragedy – two questions are raised. Is a terrorist bombing of this nature unique and could we have predicted it? The answer to the first question may surprise some, however, it is clearly a no. Within the past few days many communities have been shaken by the wrath of Islamic terrorism and sectarian violence. The AFP report the death of two children, 10 and 11 respectively, at the hands of sectarian targeted bombings while VOA News reports the death of 5 children by Taliban roadside bombs in Afghanistan. But lets move away from this one day in history. In August 2003, the same JW Marriott Hotel of these recent attacks was bombed killing 12 people. In 2002 over 200 were killed in the Bali Bombings; 19 were killed in another set of bombings in Bali in 2005; and the list goes on. So, could we have predicted such an attack? If we take past precedent as an indicator of future events, we probably could. 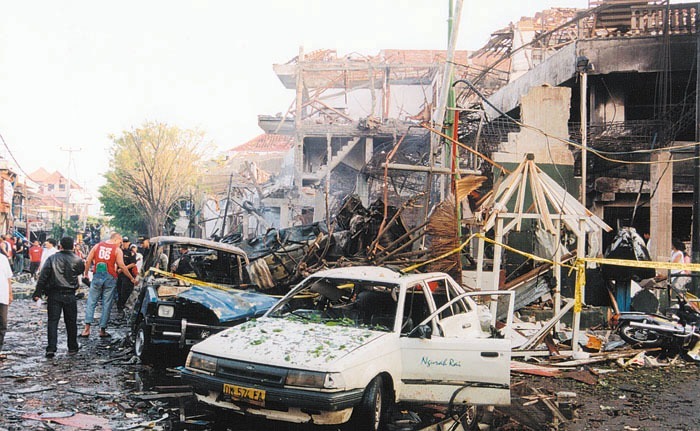 Taking account of the internal shifts within Jemaah Islamiah (the organisation suspected for carrying out the bombings) including the rapid rise in radicalism among radicals, the likelihood of an attack was greatly magnified. Such was predicted moments before the attacks by a number of Australian advisory groups. But when should a government act on such a threat? I would argue that the domestic government has a right to always act – and countries such as Australia, which have often been a victim of various terror attacks in Indonesia should always exercise caution whenever there is a real threat. I would hate to hear that Australia failed to act on reliable intelligence. Muslims often claim that a sign that the Qur’an is from God is that today’s copy is perfectly preserved (16:8) from the eternal tablets (85:22). They see this as an irrefutable sign that it is from Allah. As has been previously demonstrated in an earlier post – there are a number of variant readings in the Koran that change the meaning significantly. In this brief post I will put aside the evidence from the hadith mentioning lost and variant surahs and ayas as well as the plethora of variant vowelisations and take one example from the physical evidence. The Uthman Quran, also known as Tashkent Qur’an, Osman’s Koran and Samarkand Codex, is believed by many Muslims to be one of Uthman’s original editions which is testified by the blood stains found on the Quran from Uthman’s assassination. Then we have today’s common Qur’an – a 1924 Egyptian version mass produced early last century. Take note of the textual variants marked in line 2 (37:103), line 4 (37:105), line 6, line 7 (37:106) and line 8 of the Uthman Quran. At the start of line two we see a variant – this variant occurs in Surah 37 aya 103. We see that the old Uthman Quran shows a stark contradiction to the Quran in use today in surah 37 aya 103. Similarly, in that single page of 8 lines there were 5 variants to the Quran used today. If we hold the Muslim view that a text cannot be considered inspired in light of textual variants (as they charge against the Bible), they cannot consider their own text to be inspired as it is evidently ‘corrupted’ and contains numerous textual variants. However, unlike with New Testament scholarship the study of textual variants in Islam is a subject of taboo as they hold onto the claim that the Quran is unchanged through transmission. This is a dilemma for the Muslims that must be addressed.